Let’s get right into it – the FanDuel Week 2 Cheat Sheet offers up several very good value plays for this week’s NFL matchups. Stick with a stud at quarterback, as I’m not a big fan of any of the middle-tier guys. But among the running backs, injuries and suspensions have made players like Browns RB Terrance West and Matt Asiata good values in FanDuel Week 2 contests. My only problem with West is – he had a horrible preseason, with 2.7 yards per carry, so it’s difficult to give him too much credit entering Week 2, after a breakout Week 1. Especially when Isaiah Crowell played so well, too. The “other” rookie might actually be the better play – especially in tournaments where you need diversity. 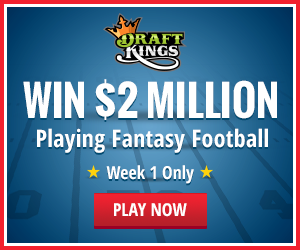 Start a Daily Fantasy Revolution on Patriots’ Day! The Red Sox and Orioles wrap up their four-game series at Fenway Park on Patriots’ Day – at 11am ET. This is always a great Daily Fantasy Baseball kind of day because you get to watch an early game (when else can you watch a game while still drinking your morning coffee? ), but then there are no more day games, so you have 12 games at night to choose players from. With a dozen games going on tonight, and the Patriots’ Day game eliminated, there are some interesting plays for tournaments tonight. The Boston Marathon happens this afternoon, too. That really makes me want to load up on runners in Daily play for some reason, but I’ll hold back. Has anyone noticed how bad the two best offenses from a year ago have been this month? The Red Sox and Tigers rank well below average, and big hitters like Miguel Cabrera and Dustin Pedroia are struggling to get going. Both teams lost key components this offseason, with Prince Fielder going to Texas and Jacoby Ellsbury heading to the Bronx. What’s interesting is that nearly all offenses in the majors are struggling this season, so don’t put too much weight in the early down weeks for Boston and Detroit. Those down weeks are making their superstars a little more affordable for Daily Fantasy Baseball play, so let’s look at this glass as half full. Why are offenses down? There are actually a few reasons, in my opinion. It has been unseasonably cold this month up north and even in the south. But the northern teams are affected by it more so. Balls just don’t travel as far in dense, cold air. Pitchers are still ahead of hitters in the early weeks of the season. It’s much more difficult to hit a thrown ball than to throw a ball past a hitter. The effects of PED suspensions continue to affect the scoring averages across the majors. Load up your rosters, pretend the other entrants in your tournaments are British soldiers from 1775, and FIRE!!! Here are Monday’s top Daily Fantasy Baseball articles! If I missed any articles, let me know by leaving a comment or tweeting me @DavidGonos. Also, for traditional Fantasy Baseball players, here’s an article I wrote on “11 Simple Rules to Trading Fantasy Baseball Players” you might enjoy. Jason Collette takes the lead again on the Daily Fantasy pitching rankings, and we have a handful of aces at the top of the list. King Felix Hernandez is the easy favorite, with a game at home against the free-swinging Astros. His 0.74 WHIP is sure to get even lower after Monday night. On the other end of the spectrum, he likes the Giants at Rockies game to be great for both lineups. Hopefully, Pablo Sandoval can get untracked. Also, in a short “ESPN Fantasy Now” video, Tristan Cockcroft discusses why Michael Morse is a great play against the Rockies also. Richard Valero picks out some of the best “Batter vs. Pitcher” plays of the upcoming evening, and he points out that Pirates 2B Neil Walker looks like a good play against Cincinnati. He also has four home runs over the past week of play. Justin Klein shares his favorite low-cost pitchers to pick up for today’s games, including Wily Peralta, who happens to face Andrew Cashner and the Padres Monday night. Beermakersfan lists a few of his favorite plays of the day at each position, including Braves 1B Freddie Freeman, who owns a .509 wOBA and is going up against Tom Koehler at Turner Field. Also suggested is Indians OF Michael Brantley who faces Kansas City’s Jeremy Guthrie. One of Dobish’s favorite “Big Ticket” items is Ryan Braun, who goes up against Cashner in Milwaukee. But he really likes starting Braves SP Julio Teheran at home against the Marlins. Brad Johnson points out that the Rockies game and the Red Sox (early) game are two of the four best games according to Ball Park Factors updated daily. Since the Cubs game has some weather concerns, the fourth game to consider is the Brewers game against San Diego. Brett Talley gets all smart on us and does some analysis on if playing Daily Fantasy Baseball affects our opinions of players in traditional Rotisserie play and vice-versa. He also shares his five favorite picks for Monday, including Oakland’s Dan Straily as a cheaper option, going against the Rangers. Ian Kinsler is Adam Meyer’s “Must-Start of the Day,” as he faces John Danks tonight. Mike Newman chooses a “quartet of slumping MLB All-Stars” that are worth leaning on for tonight’s matchups. What better way to celebrate the beginning of the American Revolution than to play some Daily Fantasy Baseball games – with a twack of beer! Follow me @DavidGonos to see what my daily buddies and I choose as our Draft Day Rapid Fire picks! It’s Easter Sunday, and you’re probably either getting into your Sunday best suit, ready to take the family to go enjoy a day of reflection, while also eating chocolate rabbits and hunting for colored Easter eggs – or you’re sleeping in. I’m on board with the latter, if only because chocolate rabbit’s feet get caught in my teeth. So today’s Daily Fantasy Sunday games will likely be a rush for you to get set up for, so we’ll keep the info fast and furious. I plan on playing a few 50/50s on several sites today, including Draft Day, Draft Day and SportsTradex – which just has one of the coolest, easy-to-understand games around. It looks like there are a few interesting pitching plays today, including what could be a pitcher’s duel between sophomore SP Shelby Miller and the Cardinals at Washington, against super-studly Stephen Strasburg, who just hasn’t gotten on track today. Although, with Strasburg, his LOB% is at 57.1%, which is the sixth-worst rate in the league. He’s letting nearly half the players that reach base – score, in a manner of speaking. While that actually portends to that percentage climbing, as he moves back at least to the league average of 70% or so, it’s still not a number I like to see going against a Cardinals lineup that hits right-handers well (.270 on the season, good for fifth in the majors against RHP). On the other end of the Daily Fantasy Sunday spectrum, I’m looking at the Phillies-Rockies game as a big-hit bonanza, with extra-base hits to go around for everyone. Roberto Hernandez is on the mound for the Phillies, in Coors Field, against Rockies pitcher Juan Nicasio. While both have ERAs under 4.00 this season, the Rockies are the second-best team in the league in total bases against right-handers. Unfortunately, the Phillies are worst in the league, with just 133 total bases against RHP. So I’ll load up on some Rockies hitters, along with Chase Utley (.385 vs. RHP). Here are the top Daily Fantasy Baseball articles for Sunday! If I missed any articles, let me know by leaving a comment or tweeting me @DavidGonos. Also, for traditional Fantasy Baseball players, here’s an article I wrote on “11 Simple Rules to Trading Fantasy Baseball Players” you might enjoy. Jason Collette, one of my favorite guys in the industry, ranks today’s starting pitchers for our Daily Fantasy Baseball enjoyment. Collette also concurs with my opinion of the Cardinals against Strasburg this afternoon. Iconfantasyjoe takes care of today’s daily plays for RG today, picking a handful of players at each position. He actually picks Strasburg to do well, with a “Bounce Back Alert” on his write-up. Dobish lists out the weather and chances for precipitation for the 15 games on today’s docket. The Rangers game and the Rockies game seem to be the ones in the most danger. One of Dobish’s favorite bargain plays of the day is Ike Davis, who is going up against the Brewers this afternoon. Those are the live articles that have already been posted this morning for Sunday’s games, but check these links throughout the day to see if they’ve posted some updates recently. I love Daily Fantasy Sundays because most of the games are played in the afternoon, much like how most of the Friday games are at night. So you have a lot of choices and a lot of action going on at once. I with you a great Sunday, whether it’s with your family hunting eggs and scarfing chocolate bunnies in your Sunday best, or watching baseball all afternoon! Looking at today’s starting pitchers, you’ll find there are several hurlers that have had some troubling first few weeks. Let’s take advantage of some bad pitching! Twins SP Kevin Correia faces the Royals in his fourth start of the season. While he has finished six innings in two of his three starts, he has allowed more earned runs (11) than players he has struck out (10). The Marlins throw out Henderson Alvarez to face Robinson Cano and his Seattle teammates. Alvarez has allowed 25 hits (and seven walks) in just under 15 innings this year. In all, there are nine pitchers with ERAs above 5.00 throwing today, and you get to line up a bunch of hot hitters to go against them! Today might be a good day to buy good pitching, with mediocre bats, with expectations that they’ll have better than average days. By loading up on great hitters, you’re rolling the dice with cheaper pitchers, and not taking advantage of the good matchups some of the lesser hitters have. Here are the top Daily Fantasy Baseball articles for Friday! If I missed any articles, let me know by leaving a comment or tweeting me @DavidGonos. Also, for traditional Fantasy Baseball players, here’s an article I wrote on “11 Simple Rules to Trading Fantasy Baseball Players” you might enjoy. Mike Sheets takes a turn on the pitcher rankings for today’s games, and his top plays include Tigers SP Max Scherzer, Reds SP Tony Cingrani and, interestingly, Rangers SP Colby Lewis, who has a 6.75 ERA so far this season. Bono6699 helps out with his picks of the day. He also likes Scherzer as one of his top pitching plays this afternoon. He also suggests slugging rookie catcher Josmil Pinto, who faces Royals lefty Bruce Chen (bad pitching). There aren’t really any more live articles this morning that I know about, but check these links throughout the day to see if they’ve posted some updates recently. Saturdays are days meant to spend with your family … or playing a boatload of Daily Fantasy Baseball games, watching bad pitching and getting drunk! Over the past couple weeks, we’ve all seen what Twins 2B Brian Dozier and 1B Chris Colabello have done, and we’ve all expected them to quietly go away. Dozier, actually, has been one of my favorites since late last season. Unfortunately, for the season, he’s batting just .207, and while he has five home runs, most of them have been solo shots. The best news that prospective Daily Fantasy owners should think about is that his BB% is up to 17.8% through the first month, which is twice as good as any other season in the majors. He’s staying patient, and still showing some power flashes. On Thursday, both players ended up being the highest scoring Fantasy Baseball hitters of the day, helped by a double-header against Toronto, of course. Dozier went 3-for-8 with a solo shot and four runs scored. Colabello, meanwhile, knocked four runs in, going 5-for-7 on the day. Colabello is batting .357 with one home run and 19 RBI this season. Did you catch that? One homer, with 19 RBI. He smacked seven homers in 160 at-bats last season, but he’s been hitting more liners than usual, which are finding open grass. Only Giancarlo Stanton has more RBI (21) this season than Colabello. The Twins travel to Kansas City to play a three-game set against the Royals starting tonight, Fantasy Friday. Dozier and Colabello will go up against journeyman lefty Jason Vargas, so consider them if the price is right. Here are the top Daily Fantasy Baseball articles for Fantasy Friday! If I missed any articles, let me know by leaving a comment or tweeting me @DavidGonos. Chet Gresham looks at the past three years of data for some hitters scheduled to play this evening. He breaks down the list of players by their lefty/righty splits using wOBA, and highlights the handedness of the pitcher he’s facing tonight. Richard Valero picks a handful of batters he’s fond of tonight, including Orioles slugger Chris Davis, who hits John Lackey to the tune of .344, with 2 HRs and 6 RBI in 32 career at-bats. It’s crazy to think Crush has just one home run through 14 games this season. Speaking of the Orioles-Red Sox game, Zach Trexler likes David Ortiz going up against Chris Tillman tonight. Brian Gramling (@briangramling) is back with his rankings for today’s starting pitchers. A couple youngsters hold the top spots in Sonny Gray facing the whiff-happy Astros, and Michael Wacha pitching at Washington. That game should be relatively low scoring, considering Gio Gonzalez (who Gramling ranks third) going for the Nats. David Wiers takes his turn for Friday, recapping some Fantasy news from yesterday’s games, as well as sharing “The Daily Five” picks for Draft Kings, including Prince Fielder going up against Angels SP Jered Weaver. Let’s start this weekend off right with some big wins on Daily Fantasy Friday! One of the stranger themes of this early Fantasy Baseball season is the reversal of offensive power. In the first week of the season, we saw the Miami Marlins break out with big numbers, only to be followed up by the Chicago White Sox leading the majors in scoring with 86 runs scored after 15 games this season. On the other end of that spectrum are the Tigers, who were among the league leaders in runs scored over the past two seasons, with Miguel Cabrera and Prince Fielder. But now, minus Fielder, they’re having problems crossing the plate, as they rank 29th in the majors – just ahead of Kansas City. The Red Sox, the top scoring team of 2013, now rank 24th in the majors, just barely above the Cubs and Astros, of all teams. These shifts are sure to correct themselves in the coming weeks, but after the first two weeks, they’ve wreaked havoc with Daily Fantasy Baseball players! Let’s see if we can’t figure it out for Thursday’s big games! There are a dozen games ahead of us this afternoon and evening including seven games on the evening docket. Here are the top Daily Fantasy Baseball articles for Thursday! If I missed any articles, let me know by leaving a comment or tweeting me @DavidGonos. Neil Parker (@naparker77) shares his favorite hurlers of the day for DraftStreet’s setup. One of my favorites, Adam Wainwright, makes the list, despite his big salary. Mike Sheets offers up a couple AL Central aces as his favorite starting pitchers of the day. Tigers SP Justin Verlander faces the Indians at Comerica Park, and White Sox SP Chris Sale goes up against the Red Sox. Tristan Cockcroft also likes Ian Kennedy for a spot start against the Rockies in San Diego. Zach Sanders discusses yesterday’s news and picks “The Funky Five” for Thursday on Draft Kings, including Seattle SS Brad Miller, who faces Rangers’ starter Tanner Scheppers. Brad Johnson shares some spoiled grapes about how he lost to a guy that stacked against one of the pitchers the same guy took. The guy bet against himself somehow and still won, haha! Johnson also discusses some games tonight, including how he thinks the two games in Texas and the White Sox game are the ones to target offensively tonight. Blake Murphy picks five prized picks on DraftStreet, including closer Craig Kimbrel, who you can use on DraftStreet as a third pitcher for just $3,192. Ben Pritchett chips in today to choose a pair of hitters to target at each position, including Nick Franklin and Astros rookie OF George Springer. Dave Loughran also likes Chris Sale, but he takes Royals ace James Shields as his top starting pitcher of the day. He cites Houston’s affinity for striking out so much against right-handed pitchers last year and now this year. Adam Meyer is a fan of spending on pitching today, and picking up guys like Rockies 2B D.J. LeMahieu on the cheap. Dobish suggests using a stack of players on the Rays this evening against the Yankees. Notorious breaks down every single game, with some picks to target and players to avoid in each game. He also points out how dominant Giants SP Madison Bumgarner has been at AT&T Park. Marcus Hall shares some hitters and pitchers to take a look at, including Mariners 2B Robinson Cano, who he believes is priced as a great steal. In 53 at-bats against CC Sabathia, points out Richard Valero, Rays 3B Evan Longoria is batting .396 with six home runs and 13 RBI. 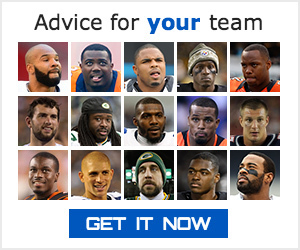 Good luck – and get ready for a huge Friday with a full slate of games and big games on all of the Daily Fantasy sites.